Fire crews are still at work on Winter Hill to control hot spots. Although the firefighting operation on Winter Hill has been scaled back as the fire ws brought under control, there are still smouldering areas. This weekend there are four crews up on the hill. A Lancashire Fire and Rescue spokesman said: "This number is likely to remain the same over the weekend. "We will be working to contain and monitor the deep seated hot spot areas." The operation was scaled back when the 5km moorland blaze was finally brought under control after raging for almost two weeks. At its peak there were more than 100 firefighters on the scene and crews were brought in from across the UK. 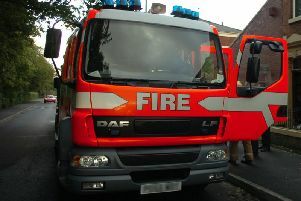 Yesterday, councillor at Lancashire County Council passed a motion of thanks to the fire crews for all their hard work.